Have you inspected and noticed that the roof is in a bad state? Well, the good news is that it is not mandatory to hire a professional roofer to fix the problem. 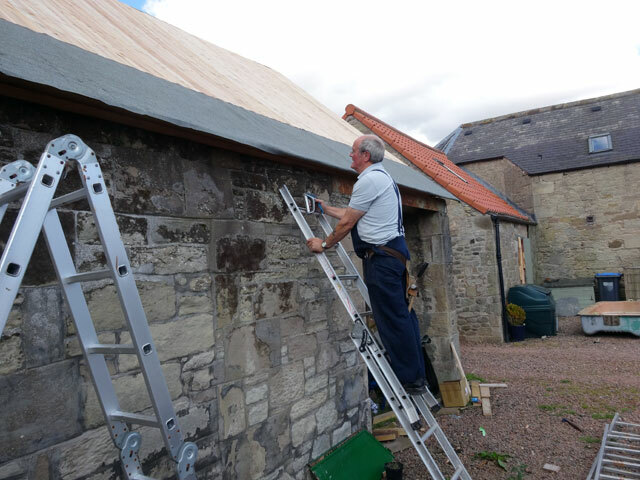 Even if the issue is a leaking roof, a bit of DIY skill is all you need to rectify the problem and make the roof as good as new. Here, you will learn about the different ways of fixing a leaking roof. Before working on your skills, it is important that you know the effect of living in a home with a leaking roof. A tiny leak is all that is required for the roof to sheath and rafters to rot. Unresolved leaks eventually affect the insulation by creating the right environment for mold to grow. Mold and moss will affect the health of your family members. First, find the leak signs. Running water is one of the most obvious and straightforward signs. Climb on the roof and begin removing shingles from the area you suspect to be leaking. It is important to follow the path to identify the exact source of the leak. For the most part, the source tends to have rotting wood, water stains or discolored felt paper. While on the roof fixing the leak, do not ignore other systems that need your attention too. Use longer nails for fixing laminated roofing shingles, which are notoriously thicker compared to their standard shingles. Make sure that the laminated roofing shingles are properly fastened to the roof before you go back down. Damaged connections need some attention too. Many times, you will notice that the source of the leak is the area on the roof that has connections. For such areas, your first task should be removing the damaged caulk. Next, clean the area before drying it completely. Afterward, give the repaired part adequate time to dry. Ascertain that all holes are properly plugged. As shown here, fixing leaks on roofs is not an impossible task. With the right tools and attention to details, you should have little difficulty identifying the source and fixing the leak. Do not be in a rush. Remember, there is nothing wrong in hiring a professional roofing contractor if you are unable to fix the leak properly.